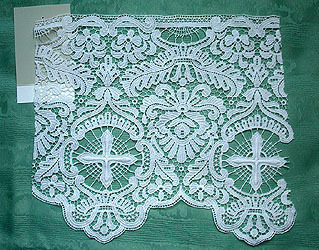 machine-made lace becomes a technological marvel. other city in Germany. The population of Plauen almost triples between 1880 and 1914.
partly as a result of World War I. Conditions worsen as the economy collapses. which is exported to over 40 countries. below. 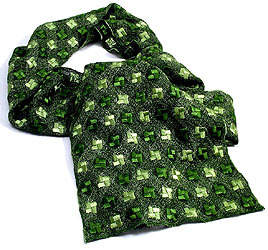 New areas of development for Plauen Lace include exquisite scarves and fine liturgical lace. 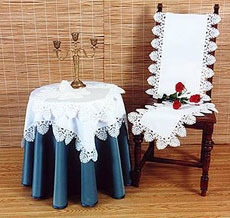 The trademark Plauener Spitze® is your guarantee of the highest quality German table linen.